As we have mentioned before, guacamole is definitely one of our favorite foods to make at home. It’s WAY better than most kinds that you can buy at the store. 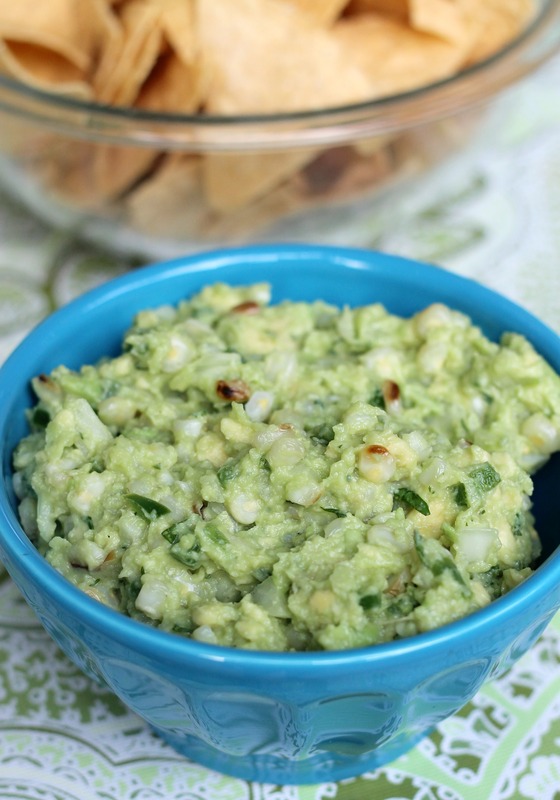 While we will never get tired of plain old guacamole, it’s also fun to try a new version. We love corn when it’s in season, so the idea of guacamole with grilled corn in it sounded like something we would definitely be into from the first time we heard about it. It did not disappoint. The corn added a sweetness to the guacamole and a slight smokiness, not to mention the great texture is added. We will definitely be making this again before summer is over, and you should too! P.S. Sorry for the short post today. I’m currently writing this past midnight because I realized that I forgot to schedule a post for an awesome burger recipe that required lots of typing (which we will share soon!). So, I decided to post about this guacamole since it is quick and easy. Time really runs away from you when you are busy during the summer! Preheat your grill to medium-high heat (if you have a gas grill, it might not need much preheating time. If that’s the case, heat it right before the corn is done soaking). Fill a 13×9-inch baking dish halfway full with water and stir in 1/2 teaspoon of salt. Immerse the corn ears in the water and add more water to cover the corn (it’s ok if they float a bit). Let the corn soak for 10 minutes. Brush the corn with the canola oil, sprinkle with salt and pepper, and return it to the grill. Cook, turning occasionally, for about 10 minutes, until the corn begins to char in places. Remove the corn from the grill and stand the corn upright in a shallow bowl. With a sharp knife, slice downwards on the sides of the corn to remove the kernels from the ear, allowing the corn to drop into the bowl. Smash the avocado lightly in a large bowl. Add the peppers, onions, lime juice, cilantro, and corn. Season with salt and pepper. Serve with tortilla chips. Enjoy!